The Ruhr Museums - RuhrKunstMuseen (RKM) - are a network of 17 museums located in 13 cities. This year they are celebrating their tenth anniversary as well as the end of coal mining in Germany. The largest cross-city exhibition project ever held on the theme of coal in art. The last German coal mine will cease production this year. This marks the end of an era - more than 250 years of industrial history - that has shaped the image of the Ruhr region, the way its inhabitants see themselves and the emergence of its unique artistic and cultural landscape. An immense, sprawling metropolis: 5.05 million inhabitants in 4,436 square kilometres with 53 cities, and, together with Ile-de-France, Moscow, Greater London and Istanbul, one of the five largest metropolitan areas of Europe, the Metropole Ruhr. 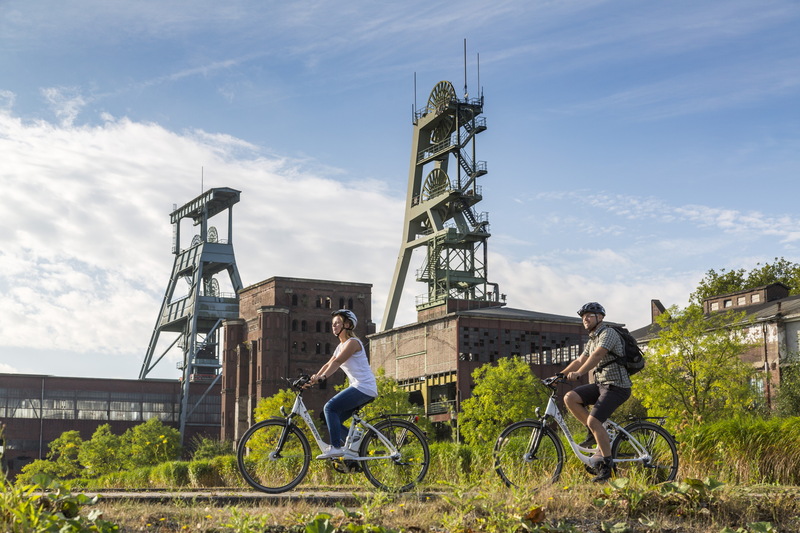 Located in the heart of the central European economic space, the Ruhr is considered to be the most developed region in Europe, with about 40% of the EU population living in a radius of 500 kilometres. A key role, initially linked to the large coal deposits and the heavy industry that developed as a result, giving work to generations of miners. But this year, the mining activity - and with it, an entire era - will end. There are many reasons for this - high safety standards and the extremely deep location of the Ruhr's coal deposits (around 1,000 metres deep and more) make mining much more expensive than in other parts of the world. The large government subsidies that kept mining going expire in 2018, spelling the end for the coal industry in Germany. It also spells the end for the last remaining mine, Prosper Haniel in Bottrop. As a response to this, the 17 art museums in the RuhrKunstMuseen RKM joined forces to create the largest cross-sectional exhibition project to date about the role of coal - the famous “black gold” - in art. Since May, they have been opening exhibitions simultaneously in 13 cities with national and international artists who explore the theme through painting, sculpture, installation, photography, video and sound art. Visitors to the 17 museums have the opportunity to explore group exhibitions and personal representations that show how coal and mining have inspired artists in the past and present. The “Kunst & Kohle” (Coal & Art) exhibition project adds an artistic perspective and highlights the cultural conquests of industrialisation, not least of which is the wealth of museums in the Ruhr region. A stand-out feature of the project for all photography lovers is without a doubt the exhibition called Bernd und Hilla Becher. Bergwerke at the Josef Albers Museum Quadrat in Bottrop, dedicated to their photographs of mines in Germany, Europe and the US. Bernd and Hilla Becher (1931 - 2007 / 1934 - 2015), a couple in work and life, began systematically photographing large mines and steel mills, as well as the major structures, such as the winding towers that haul coal and iron ore to the surface and the blast furnaces that transform the ore into metal, showcasing an era and the huge changes already taking shape. A visual narrative with an aesthetic interpreted as the usefulness of objects that seems to make them truly authentic; beauty is at the service of useful in their photographs that also set a formal bar. The Kunst & Kohle exhibitions are complemented by an extensive programme of side events until the end of 2018.